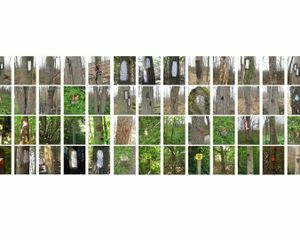 The Demarcations work is an extensive indexical work of singular markings made on trees that I have been photographing for the past fifteen years. 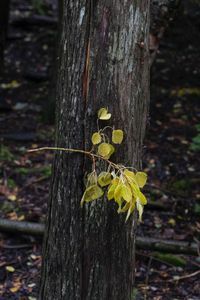 The photographs are taken in parks and on private trails throughout Ontario, Quebec, and the northern United States. 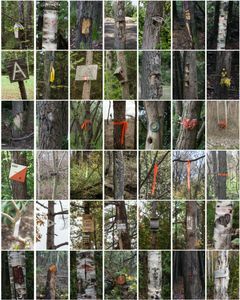 With this work I continue to explore our relationship with and interventions in the natural environment. 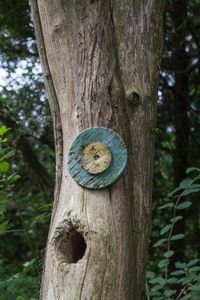 The focus includes how we try to make order within so-called “wild spaces”, give access to places unseen and create vantage points from which to view nature. 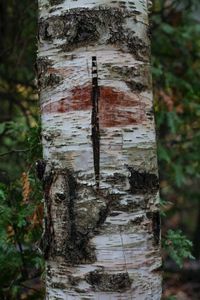 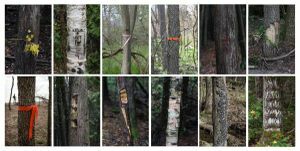 The marks I photograph include trail blazes, marks placed for the culling of trees, signage, beaver cuttings and other evidence of interaction with natural elements. 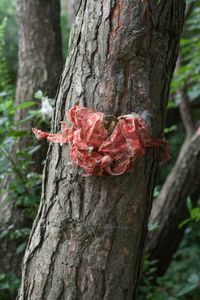 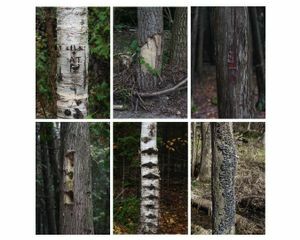 The work also includes examples of where people have added objects to trees to mark occasions or lead others to celebrations. 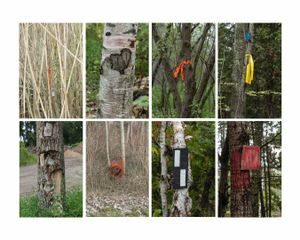 I believe these marks become a point of focus, a moment of pause, a visual language and a form of mapping as we move through the landscape. 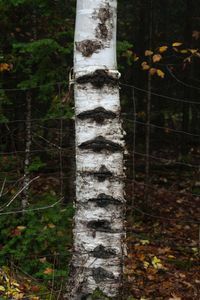 This work is ongoing and has many possible installation and scales.